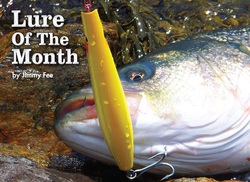 Lure of the Month; Guppy Jobo Jr. When I arrive at a beach and scan the surf line, one of the first things I do is decide if I need to adjust my lure selection. I begin by asking myself a few basic questions: What plugs will work best under these conditions? Is the surf big? Is the water dirty? Is there bait present and how can I mimic it? From these and a few follow-up queries, the pieces of the puzzle slowly come together to help me form a well-stocked plug bag that should cover the conditions of the day and hopefully result in a few hook-ups. To read the whole article please visit www.thefisherman.com by CLICKING HERE. 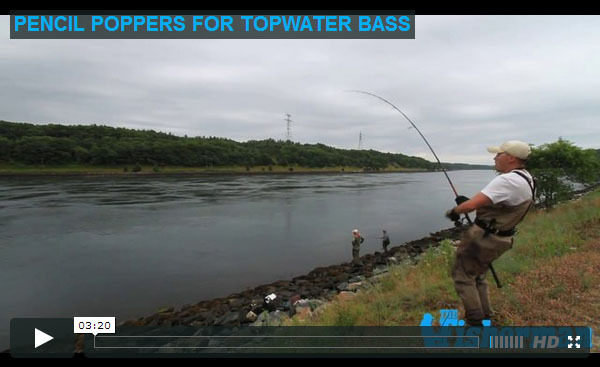 If you enjoyed the above article, check out The Fisherman Magazine's video on Topwater Bassing posted below! Check out this On The Water feature video with our own Wayne Hess!